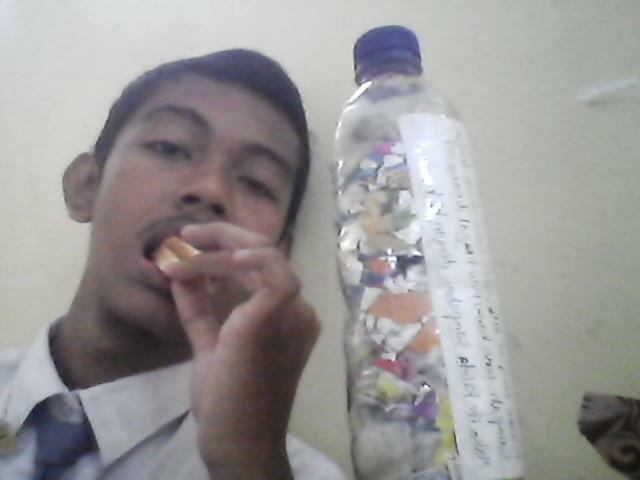 Muhammad Biyuzar just ecobricked 248g of plastic out of the Jombang, Indonesia biosphere! Kalau tempat tinggalmu dipenuhi dengan sampah, terus kamu mau tinggal di mana…??? The community of Sanggar Hijau Indonesia and Muhammad Biyuzar Arif Khan are making ecobricks to go zero waste and build cool stuff. Muhammad Biyuzar used a 600ml Aqua bottle to pack 248g of home plastic to make his number 3 ecobrick. Based in the city of Jombang, Jawa Timur they are working hard to keep plastic out of the local biosphere in Indonesia. Hurray! Stay posted to see what they build. Muhammad Biyuzar logged this ecobrick on GoBrik. View the Ecobrick’s full data on GoBrik. You can also view this ecobrick on the Live GoBrik Flow.